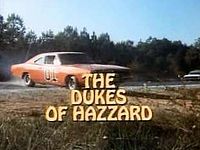 A few sources close to the film say that the project could evolve into a reboot of The Dukes of Hazzard, which was a 70’s television series and later became a 2005 feature film starring Sean William Scott and Johnny Knoxville. Hill wants to make a smart action film in the vein of Sam Peckinpah. I hope this doesn’t become a reboot, and stays an original film. But I expect Danny McBride and Seth Rogen to be involved some how and it be more comedic than action. Maybe it will be in the vein of Pinapple Express, but more of a 70’s western. Who knows? This entry was posted on Wednesday, May 2nd, 2012 at 11:21 pm	and is filed under Film, News. You can follow any responses to this entry through the RSS 2.0 feed. You can skip to the end and leave a response. Pinging is currently not allowed. « ‘Star Trek: The Next Generation’ Season One Blu-ray Announced and Detailed!! !